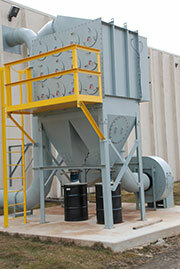 Application - Ultra Industries builds a dust collector for every application. Whatever the situation calls for: product recovery, industrial air filtration or dust control, we are certain to have the solution to your problem. Ultra Industries has the unique advantage of supplying equipment with either 4-1/2" or 5-3/4" diameter bags. Ultra Industries utilizes state-of-the-art design software and hardware to design your equipment. 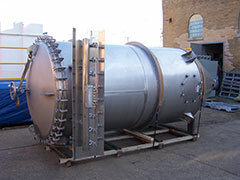 Ultra Industries has developed an application database of existing dust collector installations. This provides us with the hands-on knowledge that will ensure the dust collection system we design will not only meet your requirements but be a cost effective solution as well.